Ready for SummerQuest? We are. 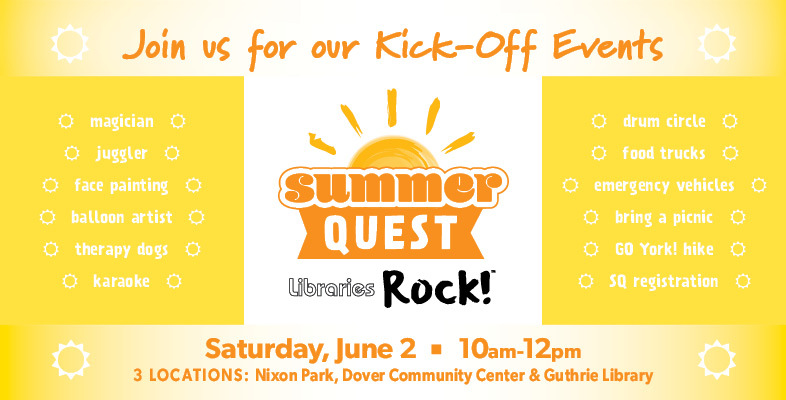 We are just days away from kicking off the 2018 York County Libraries SummerQuest Libraries Rock and and GO York! GO and Make Music summer learning and physical activity program on Saturday, June 2 at three locations! Will you be there? 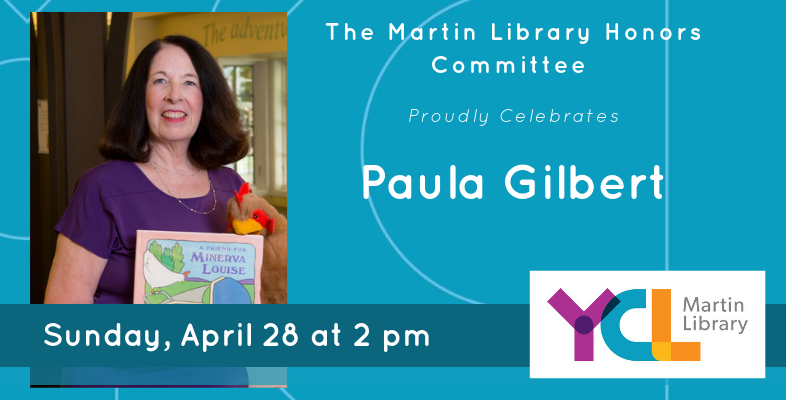 YCL Youth Services staff members have planned celebration events at the Dover Township Community Center, Guthrie Memorial Library and Richard M. Nixon Park. All three locations feature family-friendly activities from 10 a.m. to 12 p.m. and an opportunity to pick up this year’s SummerQuest and GO York! registration packet. 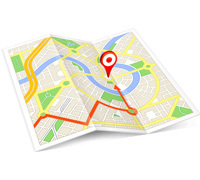 It is free to attend the kick-off events and to join the summer program. Richard M. Nixon Park – Drum Circle, Therapy Dogs, Face Painting, Nature Center, & GO York! trail. Attendees are encouraged to pack a picnic lunch. 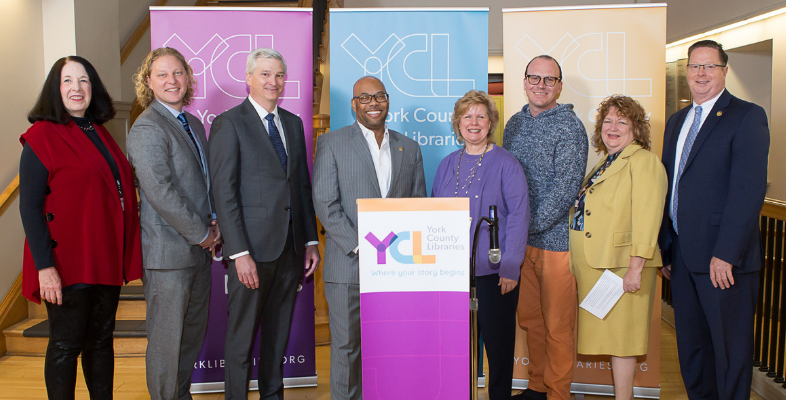 When kids sign up for the summer learning program, they gain access to hundreds of free activities at 13 libraries across York County and get the GO York! 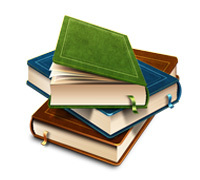 book that has clues to finding posts hidden at parks and other sites. Kids can sign up for the program at any time during the summer, although most join in the first two weeks so they have extra time to read, search for posts, and attend more free programs. 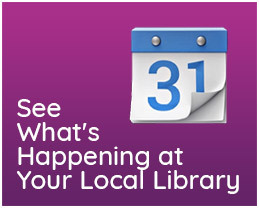 June 2 is the first day to pick up registration packets at any of the 13 libraries or at a kick-off event. The summer 2018 program runs from June 2 to August 19. We could not do this program without the incredible support of our corporate sponsors: the York Water Company, Glatfelter, and Wellspan Health. Because of their generousity, there is no cost to participate in the program. Our thanks also goes out to the many local businesses who donate prizes to encourage kids to keep their reading and learning skills growing! Libraries across PA have always focused on reading- and will continue to stress the importance of that. 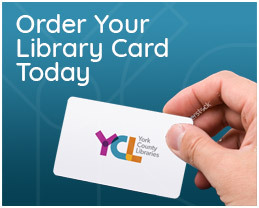 However, we want young people to take advantage of expanded options that exist around York County. These include the GO York! program to visit our parks, STEM programs to challenge inquiring minds and creative programs to support the imagination and curiosity of our children. Learning happens in many ways and the path to an exciting summer is the Quest offered by our libraries!